"... The A-Set is the most popular offensive scheme used in International basketball. From Croatia to Greece, from Argentina to Spain, and all points in between, this potent offensive attack takes full advantage of on-ball screens, drive and kick principles, and great floor spacing. Olympic gold medals and World Championship titles have been the results of this innovative attack. With this video, you’ll learn a variety of plays that can take advantage of your offensive strengths and personnel, while forcing constant defensive decision-making. The A-Set is used primarly against man to man defenses, but is also effective as an entry into such offenses as Flex and Motion. ..."
"... Lason Perkins is the Head Boys Basketball Coach at Cary Academy, teacher, father, husband. Student of the game and life. Partner with Whistle and a Clipboard podcast. ..."
With respect to the Horns offense, Coach Perkins has researched this topic in great detail and with this 'Baskeyball Training Course', first presents the basics of the offense, and then includes numerous detailed plays and options, all with on-court demonstrations. Plays are categorized as (1) plays for your shooters, pick and roll plays, plays for your post players, and a few additional "bonus" plays. Curso de Ataque en Cuernos en Baloncesto Formación A por Lason Perkins! "... El A-Set es el esquema ofensivo más popular utilizado en el baloncesto internacional. Desde Croacia a Grecia, desde Argentina a España, y todos los puntos intermedios, este potente ataque ofensivo aprovecha al máximo las pantallas de juego, el manejo y principios de patada, y gran espaciado de piso. Las medallas de oro olímpicas y los títulos del Campeonato Mundial han sido el resultado de este ataque innovador. Con este curso de entrenamiento, aprenderás una variedad de jugadas que pueden aprovechar tus fortalezas y personal ofensivo, mientras te obligan a tomar decisiones defensivas constantemente. El A-Set se usa principalmente contra defensas de hombre a hombre, pero también es efectivo como una entrada en ofensas tales como Flex y Motion. ..."
- in the first case, an interference on A1’ shot. Do not charge A1 with a FTA. Do not charge A2 with a FGA . Do not credit A2 with an offensive rebound, but do charge A2 with an UNFORCED turnover. - in the second case, charge A1 with a FTA missed. Credit A2 with an offensive rebound and a FGM, and charge a FGA. See in our forums the 'basketball free throws' topics and the exposition "Basketball Free Throws Statistical Analysis" at eBA ONLINE. Official' Errors Video: Offensive Foul caused and "flopping"
Offensive Foul caused and "flopping"
What the statistical tracking of this situation according to your eBA Basketball Statistics Analysis System, and with the policy of not punishing a player for the failure of a referees? ..."
"... The biggest difference between a Mid-Major college program and High-Major is the size of the bigs. There are many more solid guards across the country but finding skilled post players is a difficult challenge all the smaller programs must overcome. Isn't that the challenge you face at your high school? Few college coaches have been able to overcome the challenge as successfully as Coach Mueller. He was able to take undersized, lower ability post players and turn them into All-Conference players not once or twice, but 5 times! Each of these young women utilized the Pivotal knowledge and skills necessary to gain the best scoring position possible, increase scoring average significantly, get to the foul line more often, and shoot a higher field goal percentage. This instructional course will help you: ..."
the full review, watch the full live footage and book this course! "... Mueller’s specialty is coaching post play. In his first four years coaching in college, five of his post players were recognized as 1st-Team All-Conference. Two signed professional contracts to play overseas. One was an honorable mention All-American. And still another finished her career ranked 18th all-time in career FG percentage. ..."
Basketball coaches: do you want more high percentage shots and increased trips to the foul line? 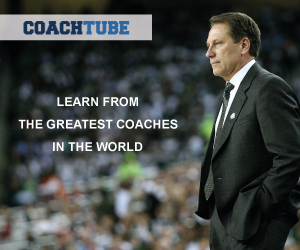 No Moves Needed is a basketball coaching video designed specifically for post players. 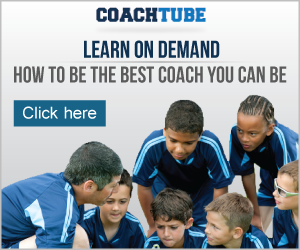 Learn how to give your post players the pivotal skills and knowledge they need for success. What’s unique about our methods is that they’ve been retooled to fit the women’s basketball game. Coach Mueller will take you through the entire teaching progression he’s used to consistently get his teams to have the best post play in the various conferences in which he’s coached. The beauty of the Pivotal method is that it teaches post players to create easy scoring opportunities on the fly amid whatever offense you’re running. The defense is always wrong and with the Pivotal method you’ll finally be able to make them pay! About the Most Helpful Scorebook Stats before Going into the Locker Room ...! About the Most Helpful Basketball Scorebook Stats before Going into the Locker Room ...! - these last two stats take the tempo of the game out of the equation and give you a true sense of how effective you are at scoring and stopping the other team. Read More at eBA SYSTEM ONLINE, search "scorebook statistics" in this blog and consult the eBA Basketball Statistics Analysis System. See you in China 2019 ! FIBA Basketball World Cup 2019 ! The FIBA Basketball World Cup 2019 is right around the corner, and will be the largest of its kind with 32 teams! "... When a player is on the floor for 3 minutes and 31 seconds, the official boxscore enumerate it as 4 minutes. How the eBA Basketball Statistics System Book tracks the influential impact on the per-minute numbers when multiplied throughout the whole season have those lost 30 seconds ? ..."
One or some short term data analysis will be determined by random chance. We have studied this issue at the eBA Clinics Chats, and reached to the conclusion that the full season stats don't round game by game, so it's a reasonably exact parameter. The median for Kobe's shots per minute this season is 0.7. (As always, we're factoring in free throw trips.) In fact, when Kobe shoots more 0.7 shots per minute in a game, the Lakers' offense is slightly better than when he shoots less than 0.7 shots per minute. There's more data to this effect. It's true that in the aggregate the Lakers have performed better offensively when Kobe is not on the floor, by about five points per 100 possessions. But raw on-off data is extremely noisy, as it doesn't at all account for the other nine players on the court or those replacing the players in question. That's why analytic types much prefer adjusted plus-minus. The best current public iteration for that is ESPN's Real Plus-Minus. In that measure, Kobe rates at +1.47 on offense. It is assumed that throughout a full season there are as many round-downs as round-ups which would take out significant error or bias by amount of time played but there might be a bit of noise in outlying player game logs. The discussion continues in the topic: "Per Minute Statistics" in the Statistics & Statisticians Board. "... Steve Nash's "travel" against the Portland Trailblazers: Did Steve Nash really travel ? The video clip includes the rule, AND IT IS NOT TRAVEL ! How the eBA Basketball Statistics System Book register this final ? ..."
Lason Perkins expande el ataque en cuernos en este curso integral. Incluye más de 30 acciones que se pueden ejecutar fuera de los Cuernos o del A-Set. Perkins comienza con el conjunto básico y las acciones del ataque. Comienza con un poste alto doble en la línea de tres puntos y lanzadores en las esquinas. Perkins muestra varias jugadas para lanzadores, postes y acciones de pick and roll que pueden ejecutarse de manera efectiva desde este conjunto. El curso también le permite imprimir archivos pdf desde su computadora para que pueda llevarlos al campo o repartirlos como libro de jugadas. Incluye imágenes de juegos internacionales. 2-3 Zone: Trapping the Post, Basketball; by Muffet McGraw! Basketball 2-3 Zone: Trapping the Post by Muffet McGraw! Muffet McGraw reveal in thhis training video some of the secrets from her defensive playbook! Coach McGraw has won numerous games, championships, and coaching awards over her distinguished career as the leader of Notre Dame women's basketball. Notre Dame's defensive system incorporates the use of both man-to-man and zone defenses. Coach McGraw explains why her coaching staff has embraced the 2-3 zone with its numerous advantages. The responsibilities for each player in the defense will be demonstrated and broken down in detail. Through whiteboard diagrams and breakdown drills we get a chance in this training video to learn how players are supposed to rotate in different situations. How Muffet McGraw Traps the Post in a 2-3 Zone! After the first day of practice, will be surprised by your new team's grasp of the big picture of basketball. They'll be able to run an offense that can counter pressure and includes screens, the only shell defensive drill you’ll ever need, a play to bring the ball in from out of bounds, no matter which part of the court it goes out on. Your team will be able to run a full court transition, play early offense without setting up, break presses and stay tough in the end game to keep the lead and counter pressure. Read & React provides you a means to train your weakest team against your strongest team the ability to test it all with “Live” Scrimmage! This system will get your team up and running so fast your head will spin. 4-Out Ball Screen Continuity Offense by Brian Field! TRAINING VIDEO by Brian Field! Providence Day School head coach Brian Field has created a top-tier 4-out ball screen continuity offense that emphasizes reversals and ball screens. In this training video, you'll learn how to implement Field's offense and see how it creates high-percentage scoring opportunities for your players by utilizing your guards' playmaking abilities while pulling defending post defenders away from the basket..
No one plays harder than Sue Bird in the WNBA. What's her secret? Bird has won two WNBA championships (2004, 2010), four Olympic gold medals, (2004, 2008, 2012, 2016), and led the WNBA in assists three times (2005, 2009, 2016). She has also been selected to nine WNBA All-Star teams and seven All-WNBA teams. Bird is one of nine women to win an Olympic Gold Medal, an NCAA Championship, and a WNBA Championship. In 2011, she was voted by fans as one of the WNBA's Top 15 Players of All Time and was voted into the WNBA Top 20@20 as one of the league's Top 20 Players of All Time.